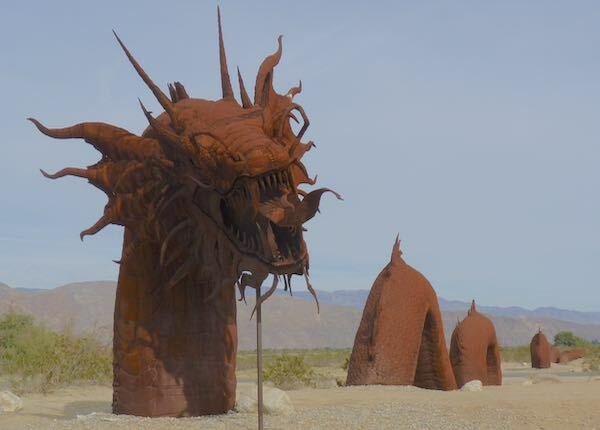 My second day of seeking more sculptures in the desert took me to see some fantastic creatures. 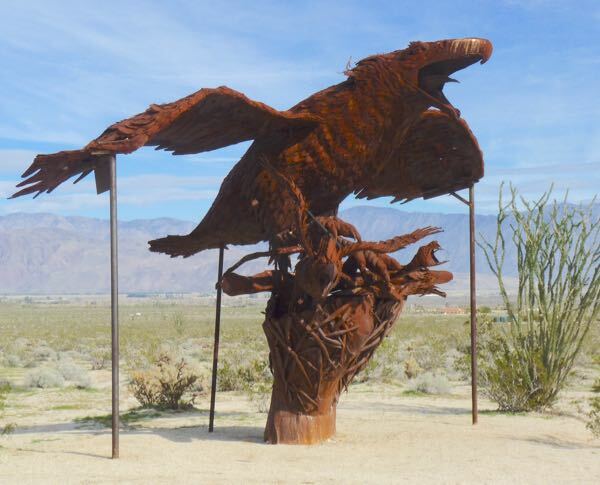 A different group of big metal constructions by artist Ricardo Broceda were found along the roadway, with some walking to get closer to them. 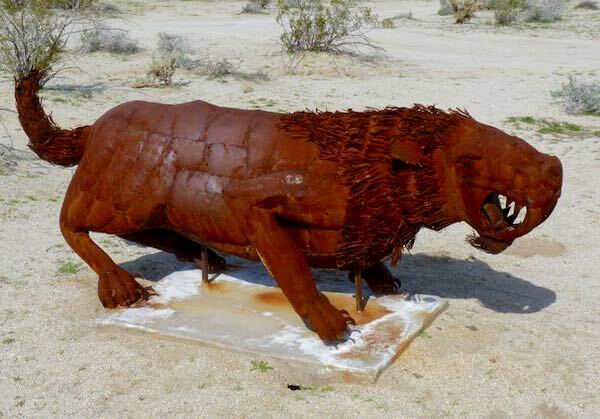 These animal sculptures included horses, saber tooth cats, a mammoth, prehistoric birds, giant tortoise, bighorn sheep, and even a dragon serpent. Many others didn’t make the cut of photos, but were marvelous to see. The artist created spectacularly detailed features that added to the expressive poses of the critters. 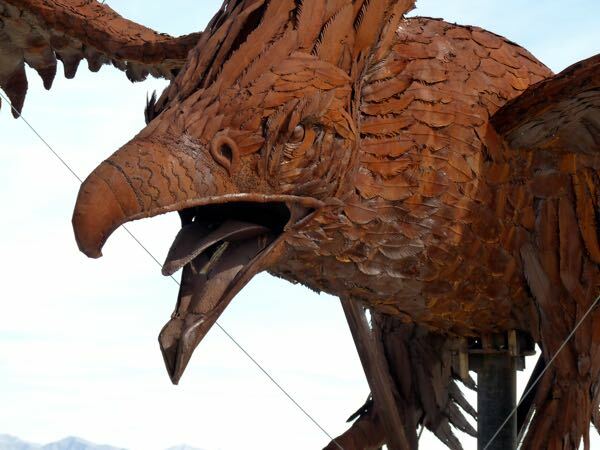 It must have taken considerable imagination and skill to achieve the results using only metal and welding techniques. 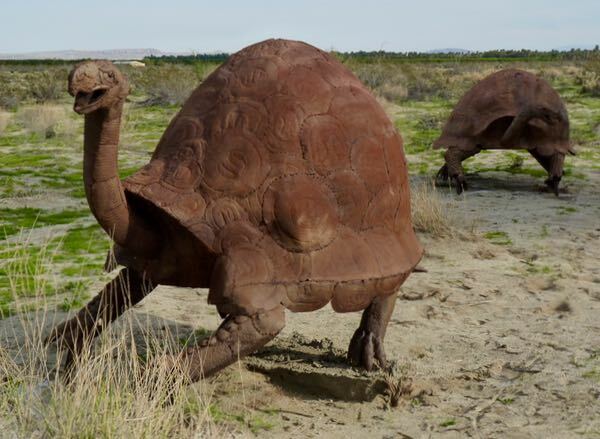 There were some dinosaurs further out in the desert on a road I didn’t trust taking with my rig Tardis. Still, I got to see plenty of wonderful creatures that were easily reached. 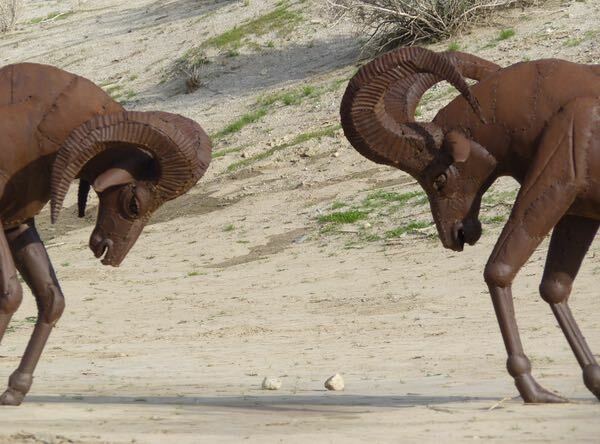 Those are absolutely marvelous sculptures, and amazing they are just plopped into the desert! Thanks for sharing both sets — if it is not too far out of our (very flexible) plan, we intend to swing by and check these out in person. Glad you enjoyed them. They are well worth the trip. And, plenty of free boondocking in the area. 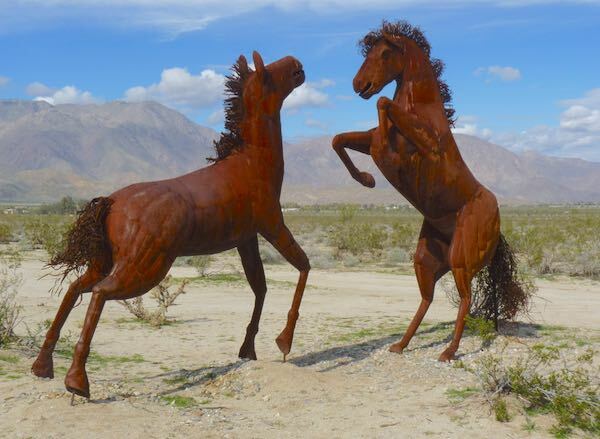 What amazing sculptures! Your camera did a terrific job capturing the artistry. Thanks for sharing these amazing artifacts, Pleinguy. It sounds like your travels are daily adventures. I enjoy following along! Thanks Brad. Not daily, but enough that I’m having a good ol’ time!